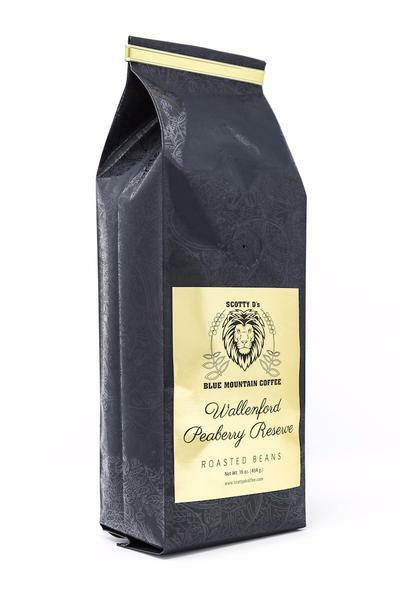 * 8oz bag * The Wallenford Farm is one of the older farms in Jamaica. 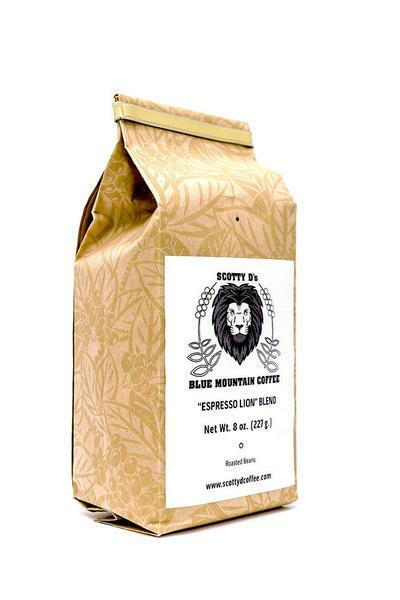 Jamaican Blue Mountain Coffee has been cultivated there for over 250 years. 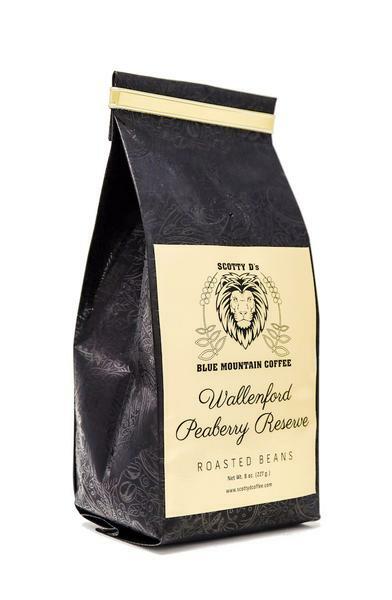 Wallenford Estate coffees are notable for a well-balanced cup, an excellent full body, refined mild taste with a slightly sweet finish. 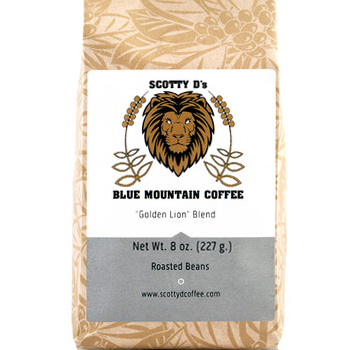 The coffee is very rich, almost creamy, with a complex taste characterized by chocolate highlights. The Peaberry constitutes only 5% of an already vary rare coffee crop. Damian Scott had a dream to bring Jamaican Coffee to the forefront of coffee drinkers worldwide. 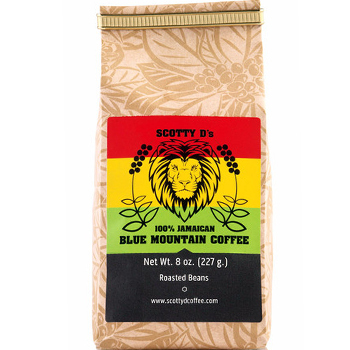 Damian Scott is carrying on the legacy of Jamaican Coffee that his grandfather Walter Scott started many decades ago. Scotty D's Jamaican Coffee officially opened for business in 2014. 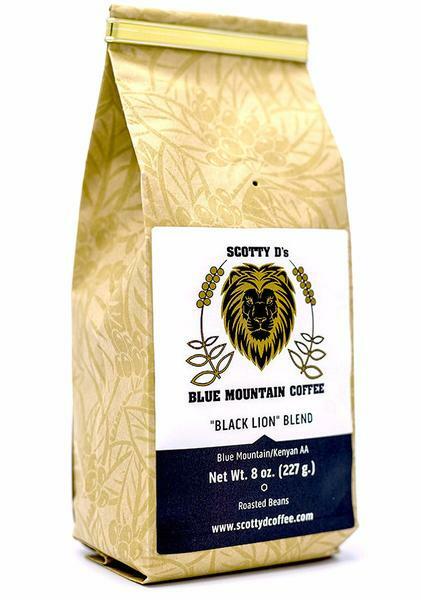 Scotty D's Jamaican Coffee specializes in 100% Blue Mountain Coffee and various Blue Mountain blends.